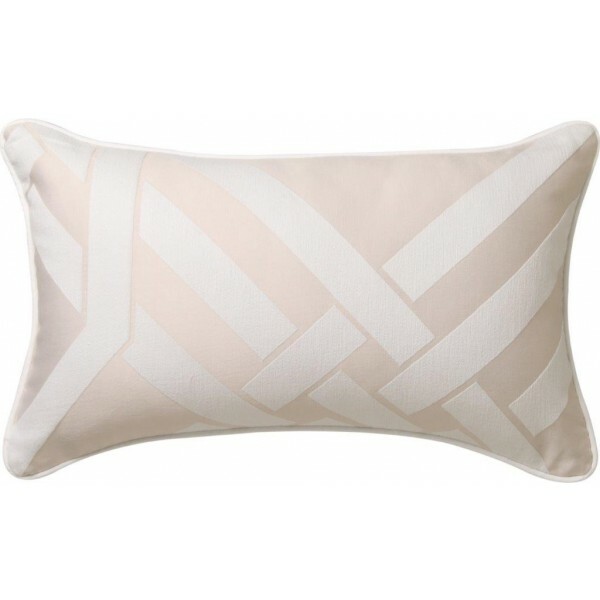 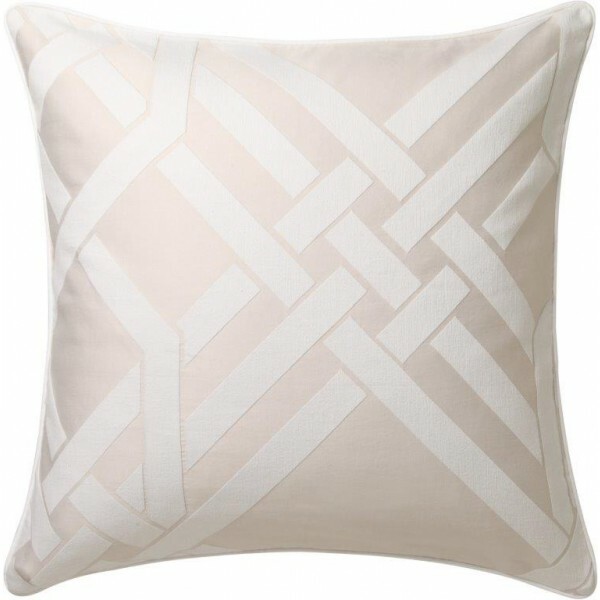 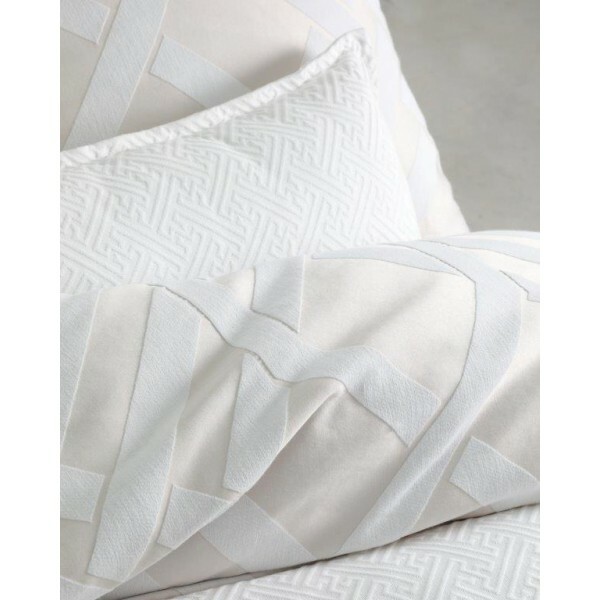 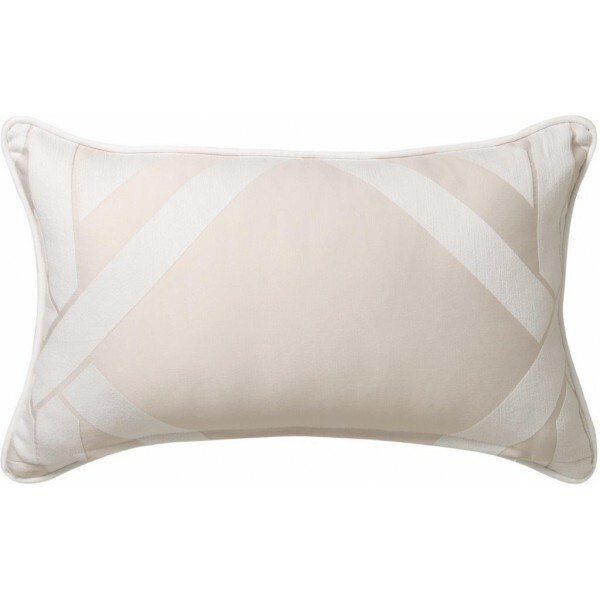 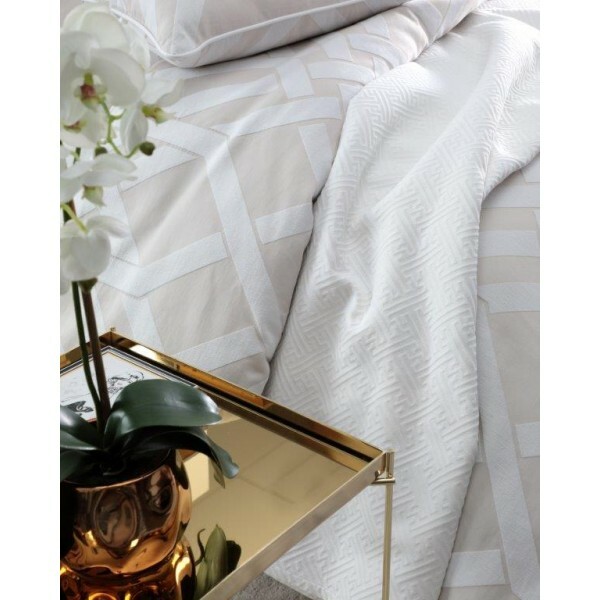 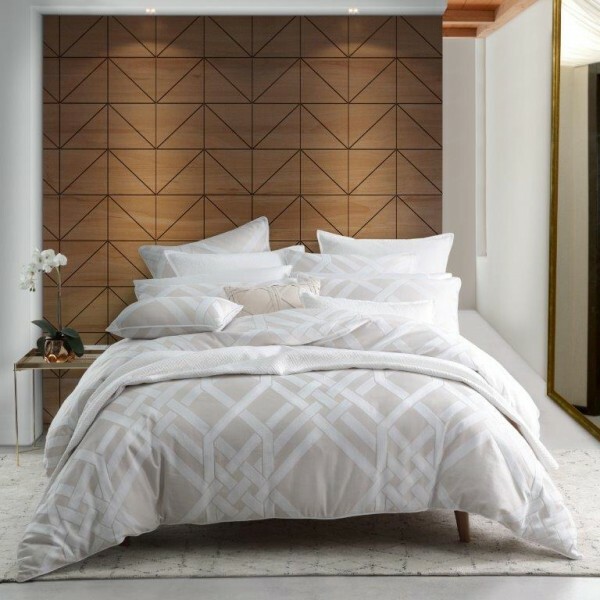 Pagoda Linen uses a daring scale to bring pattern and geometric order to the forefront. 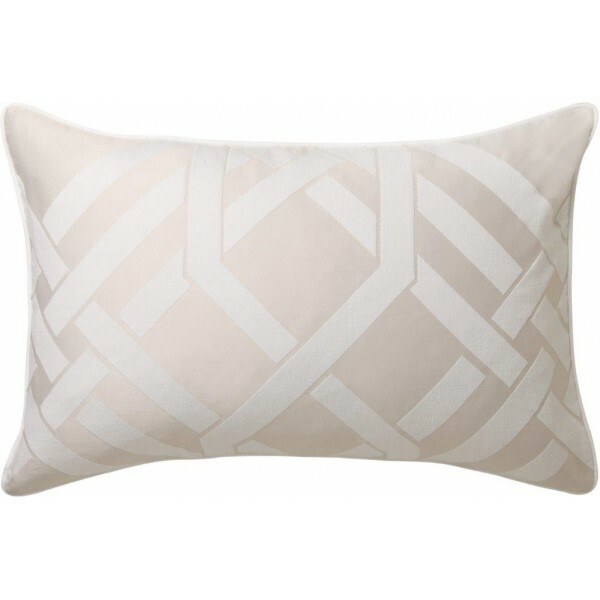 The bold pattern repeat is tempered by the subtle and inviting palette of linen andwhite. 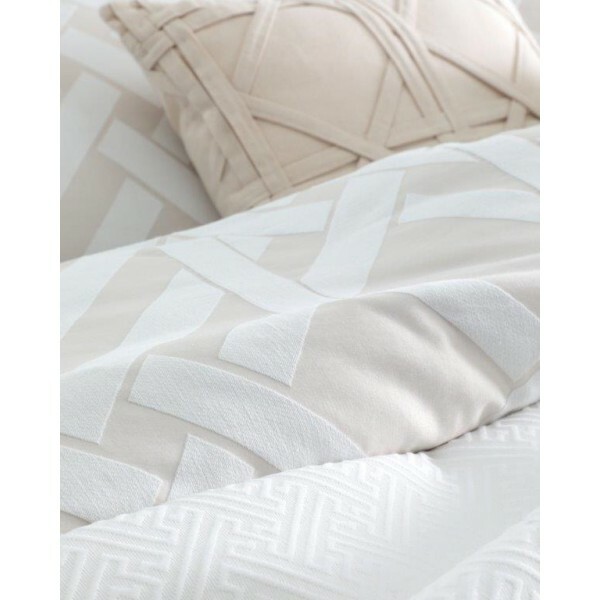 Piped edges in white complete the look.